The Cape Verde islands and her people have their own unique sense of belonging - partly African, partly European, fiercely proud and always completely themselves. The uninhabited island of Santiago, founded in 1462 was colonised by the Portuguese, the first permanent settlement city in the tropics. Slaves were brought here from West Africa and by the 16th century Santiago was highly successful as the transatlantic slave trade flourished. In 1675 the decline of the Cape Verde Islands became apparent when the Portuguese Crown agreed monopoly rights whereby slaves could be directly bought from the coast on New Guinea bypassing Cape Verde completely. In addition Cape Verde became increasingly vulnerable to attacks by rival countries as well as pirates. An attack in 1712 by the French led to the sacking of Santiago and robbed Ribeira Grande of its riches. The city declined in importance and in 1770 Praia became the capital. Cape Verde suffered the first of many droughts in 1742. Despite their requests Portugal refused to plough money into the Islands for nothing in return. With goats overgrazing on the already limited vegetation and the severe lack of funds it was inevitable that famine was going to strike. As a result thousands of people died as the droughts and starvation took hold. It is thought that 44% of the population at that time died. The once lush islands were now dry and barren. Many Cape Verdeans fled the Islands and emigrated to America in the hope of a better life. Cape Verde suffered rapid economic decline as the slave trade was eventually abolished in 1876. As the 19th century approached changes started occurring, new steam ships were born as a result of the industrial revolution and needed somewhere to stop and reload with coal on their long journeys. Due to the Islands' location, it was the ideal place for America-bound ships to stop here for ship repairs and supplies. 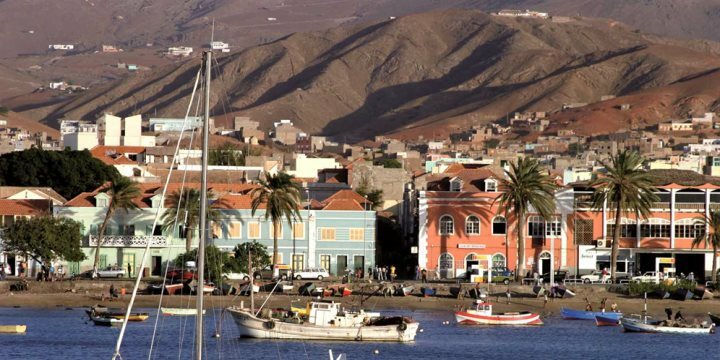 The Brits soon set up coaling stations here and Mindelo, its capital grew exceptionally quick. Until 1879, Cape Verde was part of the Portuguese Guinea (now Guinea-Bissau) and in 1951 the status of the Islands changed from colony to overseas province. 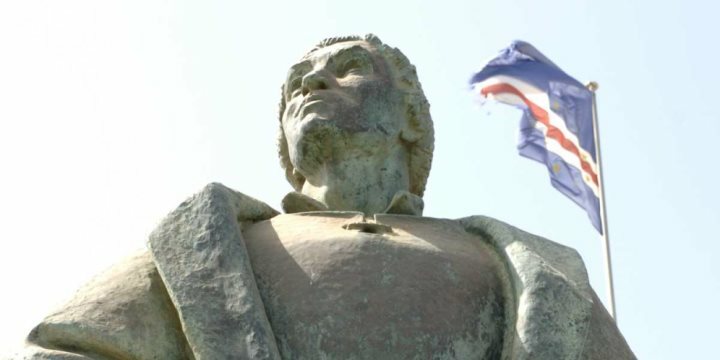 The affirmation of the Cape Verdean Nation happened on the 5th July 1975 (National Independence Day) when the oldest party PAICV* won independence for the country and ruled for many years to come. This nation has been plagued by drought causing widespread economical problems, emigration and the need to import a large percentage of their food. Despite this,Cape Verde now enjoys peace and stability and is free of conflict. With the rise of tourism there is hope once again for the Islands. To find out more about Cape Verde as a holiday destination, visit our blog. The people are a mixture of African and European with approximately 70% of the population being of mixed race. The official language of the islands is Portuguese, which is used in most written communication, including newspapers; however Creole tends to be used in conversation and it's this you'll hear being used on a day to day basis. Creole is based on African languages but with additions from several European languages. Even this can differ from island to island. More recently, English has been taught as a foreign language in schools.The religion of the islands is largely Christian, with most people being Catholic. How much does it cost? Quanto custa isso?